Sara, my teenage niece, waltzes into my living room like she owns the place and demonstrates scant interest in my choice of music as she flops in the big leather chair in the corner. I’m sure she’s secretly hoping I’ll turn it off. She rolls her big brown eyes and fiddles with her mobile. I look at Sara with love. My sister’s only child. A law unto herself and now sitting in my living room challenging my taste in music. Yes, indeed he did. Or at least I think so. I haven’t seen it in a while. “Who’s James Stewart?” the myopic girl asks absently. She looks at me somewhat impatiently. Sara heaves herself from the deep leather chair and gives me a peck on the cheek. “And yours?” I ask with astonishment. “No, don’t say that name,” I mock scream and present my fingers in a cross as if to ward off evil. Sara turns and smiles as she leaves. She loves to push my buttons. As I watch her lithe figure sashay into the kitchen all I can do is sigh. She’s young. She does not yet understand that not everything we perceive as timeless stands the test of time. I turn up the volume, in the mood to indulge in more of my big band favourites. 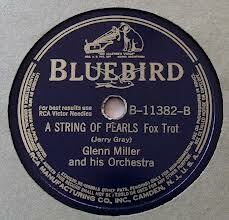 It may not be one hundred years since ol’ Glenn recorded these gems, but in my book anyway, he and his music are immortal. 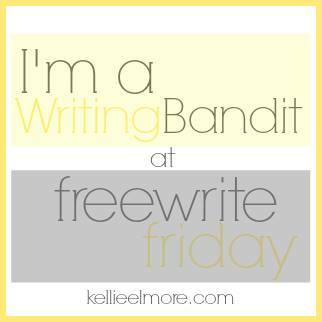 This is my response to Kellie Elmore’s Free Write Friday challenge. Sara needs an education – she needs a breadth and depth in her life which are not provided by the modern technologies. Her aunt, however, writes flawlessly and displays an uncommon forbearance for the frailties of youth. As for the mischief-maker, although there is a movement afoot in the land of the free to return him from whence he came, we in the true north are doing everything we can to keep him out. Ha ha! nice…and true. Plus you never mentioned that name! Yes, a little imagination is a wonderful thing. 😉 Thanks for stopping by and leaving a comment. Be well, Dorothy 🙂 … And thanks for following too!